Why Choose a Professional Lawn Mowing Service for Your Lawn? Get your weekends back and protect yourself from danger by utilizing a professional lawn mowing service this summer! For some people, lawn mowing is a tedious task that they dread having to do every week. Although everyone wants to have the greenest, healthiest lawn on the block, few realize that using good lawn mowing technique is a key component towards making this happen! However, hiring a professional lawn mowing service might make more sense than doing the work yourself. Here’s why. It’s hard to believe, but researchers determined that the average homeowner spends about 1248 days of their lifetime caring for their lawn. That’s roughly 3.5 years of your life dedicated to your lawn! You can use your summer weekends to spend time with the family instead of sitting on the tractor. Mowing the lawn can actually be dangerous. According to the Consumer Product Safety Commission, every year around 80,000 people have to be taken to the emergency room because they have sustained injuries related to lawn care. It’s not hard to see why this is: mowers, weed whackers, mulchers, and other equipment are some of the most potentially dangerous equipment in our homes, not to mention gasoline and other fuels and the potential for sun stroke working under the hot sun. A professional lawn mowing service is properly trained to handle this equipment and all the risks associated with lawn care. DIY lawn mowing costs can quickly add up. If you think about how much the tractor or push mower costs upfront, followed by all ancillary equipment like the weed whacker and the blower, that can be a sizable chunk of money. And that doesn’t include repair and maintenance costs or gas to power the equipment. For some, entrusting their lawn care to a professional lawn mowing service eliminates the need to worry about pouring money into their own equipment. 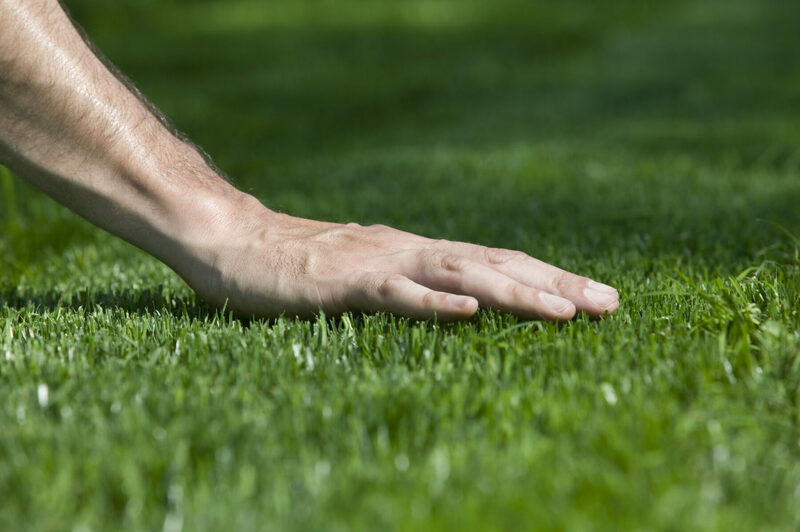 If you are looking for help keeping your residential or commercial property free from lawn diseases or need help with your lawn mowing, Atlantic Maintenance Group is ready to help you with our variety of landscaping, asphalt, snow removal, and concrete maintenance services. We are experts in our field and we are prepared to meet your needs with a price and product that will leave you grinning. If you’re interested in getting a free quote or more information, visit us online or give us a call at (410) 768-4720. To see examples of our work and stay up to date on our specials, follow us on Facebook, Twitter, Pinterest, and Google+. This entry was posted on Friday, May 19th, 2017	at 4:04 pm	and is filed under Lawn Maintenance Service	. You can follow any responses to this entry through the RSS 2.0	feed. Both comments and pings are currently closed.